Treating women with poor ovarian reserve (as defined by a low AMH level and a low antral follicleÂ countÂ ) can be extremely difficult. A lot of these patients don't know what they should do because they get so much conflicting advice. Should they be trying IVF with their own eggs ? with aggressive superovulation ? or with minimal stimulation ? Or should they continue trying in their own bedroom ?Â or should they use donor eggs? Does it make sense to spend so much money on an IVF cycle if the success rate is going to be so poor?Â However, itâs hard to accept that you will need to use donor eggs, because itâs not easy to come to terms with the fact that your baby will not carry your own DNA. This is why so many older women start obsessing about their AMH level. TheyÂ track it religiously, and will try anything to get it to improve. They also go from one doctor to another , trying to find someone who will tell them what they want to hear. The reality is that we don't actually treat an AMH number â we treat patients. 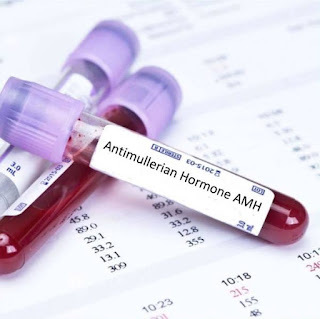 In one sense, it doesn't matter whether your absolute number is 0.6 or 1.0 - we know that if the AMH is low, this means you have poor ovarian reserve and will most probably have a poor ovarian response to superovulation, which is why your chances of getting pregnant with IVF will be lesser as compared to someone with a normal AMH. However, the chance is not zero, and this doesn't mean that you should not attempt IVF with your own eggs. After all, these are decisions based on personal patient preference - not on lab values. These decisions are too important to be left to the doctor â they should be made by you, because you're the one who needs to live with the consequence of that decision. As a doctor, I can counsel you as regards your success rates, and while it is true that the pregnancy rates with donor egg will definitely be better as compared to using your own eggs, it's not a simple black or white decision. The whole point is there is no right answer , because every patient is different. Some patients will say, "I don't want to waste my time and money in doing IVF with my own eggs if the success rate is low, so let me just go for donor eggs, as this maximizes my chances of having a baby. I just want to get pregnant, have a baby, and move on with my life, and donât care about whose DNA it is." And there'll be other women who will say, "No, I will not accept donor eggs under any circumstances." And some will decide, "I would like to try IVF at least once with my own eggs, and if it doesn't work it'll be much easier for me to emotionally reconcile myself to the fact that I need to use donor eggs." Every patient is different, and a good doctor will allow you to make the decision for yourself, after explaining the pros and cons.